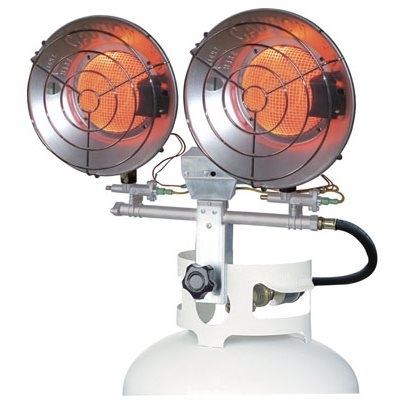 Features dual, swivel-head burners, variable heat-control settings, match-light ignition, and high-efficiency heat reflector. Front and rear safety guard and safety shut-off valve. Operates on a standard 20-lb. propane cylinder, not included. 18,000 BTU on low - 32,000 BTU on high, CSA approved.